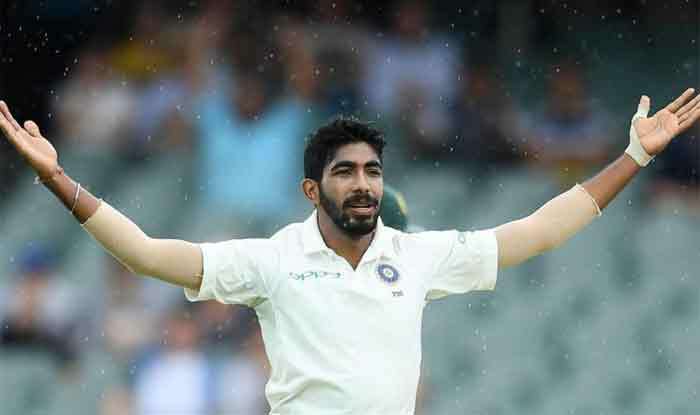 Jasprit Bumrah was at the thick of things on Day 4 as he got rid of Peter Handscomb for 37 pushing the hosts further in trouble. Jasprit Bumrah was at the thick of things on Day 4 as he got rid of Peter Handscomb for 37 pushing the hosts further in trouble. Handscomb was caught on the crease to delivery that was coming back in and then the bat could not take the pace of the ball as it went onto crash onto the stumps. India has already picked up two wickets after play resumed on Day 4 after the first session was dashed out because of bad light and spells of rain. The question that will now be crossing Virat Kohli’s mind is to enforce the follow-on or not, but given the time left in the Test match, one feels he will enforce it. Even in this Test, Cheteshwar Pujara’s marathon 193 and the time he took off the Test is proving to be decisive, like his other centuries at Adelaide and Melbourne that resulted in India’s victory. At the time of filing the copy, Kuldeep Yadav had got rid of Nathan Lyon and it was his fourth scalp that makes him the pick of the Indian bowlers. Australia was reeling at 283/9.